Final Fantasy 15, on Nintendo Switch at last (though not in the way you might have wanted it). 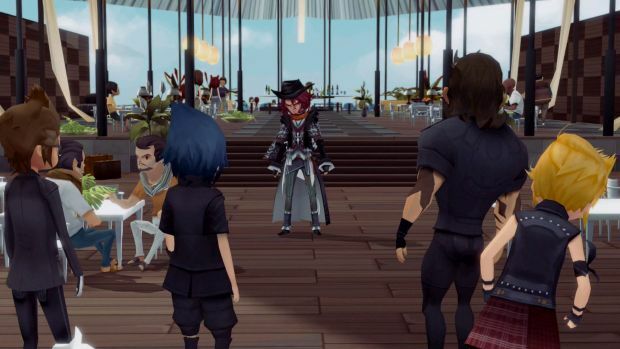 Although Square Enix had previously expressed interest in bringing Final Fantasy 15 over to the Switch, they had made it clear that they weren’t looking at bringing over the mobile adaptation Final Fantasy 15: Pocket Edition, and that it would be the full thing if anything. Well, uh- I don’t think they were entirely honest, because Final Fantasy 15: Pocket Edition HD has been announced for PS4, Xbox One, and, yes, Nintendo Switch. The PS4 and Xbox One versions are available to download right now; the Switch version is being withheld for now. Presumably, it too was meant to be a part of the delayed Nintendo Direct, as an “available now” announcement, and Square wants to maintain that. So, while this isn’t ideal, this officially means that Final Fantasy 15 is now available in some form or the other on every active system on the market (or will be, once the Switch version actually comes out). Hurray.